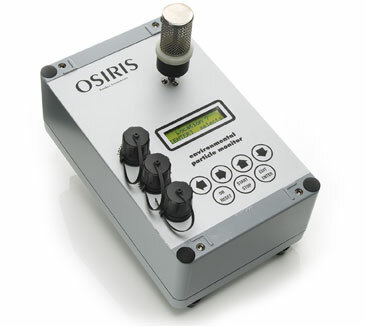 The OSIRIS Sampler is a general purpose instrument which can be used as a portable instrument or deployed in a semi-permanent installation. Manufactured by Turnkey Instruments (UK), it is fitted into a Turnkey Lamp Post box, and can be quickly setup to study short or long term pollution hotspots. The OSIRIS will continuously indicate the concentration of TSP, PM10, PM2.5 and PM1 particulates with a resolution of 0.1 micrograms per cubic meter when in environmental mode. In workplace mode, it will indicate inhalable, thoracic and respirable concentrations. The OSIRIS has achieved UK's MCERTS certification for PM10, ensuring its accuracy in recording data. With the OSIRIS comes the AirQ environmental monitoring software providing the user the ability to quickly display results from a range of particulate levels while also including results from optional climatic sensors such as ambient temperature, wind speed/direction, relative humidity. For example, with the AirQ a live "on-screen" pollution rose can readily be created which plots measurements against wind heading on a polar chart. 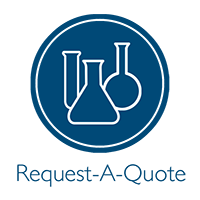 The AirQ software can be used to control sensors and record measurements in real-time with "live" graphs and tables appearing on the PC screen (which can automatically start and stop sensors at chosen times of the day, either daily or weekly cycles). It can also upload results stored in a sensor's memory. AirQ keeps the results in folders which can be later searched, printed, exported for archive purposes, or copied via the Window's Clipboard to other applications. The OSIRIS can be operated on battery (comes with an internal 6v battery), electricity or can be hooked up to a solar panel.